Home Dating sites Is It Possible to Find Love on AnastasiaDate.com? Is It Possible to Find Love on AnastasiaDate.com? How much does AnastasiaDate cost? How to delete AnastasiaDate account? AnastasiaDate.com is an international dating website, officially launched in 1997. It has over 20 million users around the globe. Most of its members are men from North America and women from Eastern Europe, especially Ukraine, Russia, Czech Republic, etc. It has a lot of different features like live chat, camshare, gifts, phone calls, meetings, etc. All these features are free for women, but as for men, they need to purchase additional credits to use them. To sign up on AnastasiaDate.com is very fast and easy. You have two option – to signup with Facebook or create a new account with your email. Also, you need to choose your gender, preferred match, provide your real name, valid email and set a strong password. Then you need to verify your email, and it is done. AnastasiaDate.com is for everyone who is looking for long-termed relationships or simply want to communicate with people by exchanging photos and emails. Mostly, the service poses itself as a place where men can find European wife. international gift delivery, translation, and other services. free to communicate only for women. sea of fake accounts. Ladies start bombarding you as soon as you join AnastasiaDate.com. Even if you have neither photo nor information in your profile, you will receive the plethora of letters and chat invitations from ladies. expensive prices. Men need to pay for everything, including chat, camshare, emails and if they want to view private photos on the lady's profile, etc. impossible to delete the account by yourself. You need to contact their Customer Support to delete it. AnastasiaDate.com is teemed with fake accounts. If you are smart, you will get it as soon as you join the site. 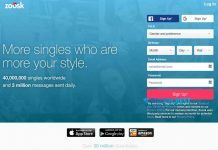 Before you add personal information and photos, you will receive a plethora of chat invitations and emails from girls telling how handsome you are and that you are a person they were looking for all the life. 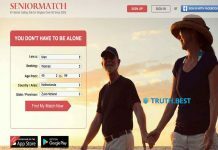 Although the registration is not time-taking and doesn’t require additional pre-registration or specific information, it attracts a lot of scammers and people with evil intentions to join this dating website. To conclude, AnastasiaDate.com is a powerful machine for making money and scam people. We recommend anybody who is really looking for someone to share life with to stay away from this service, of cause unless you want to be scammed. 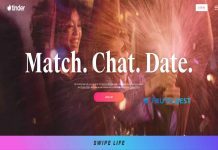 Previous articleChristianMingle: Is it Possible to Find Real Love There? 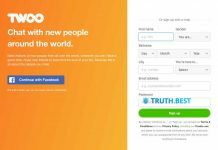 Next articleIs AsianDating.com Legit or a Scam?